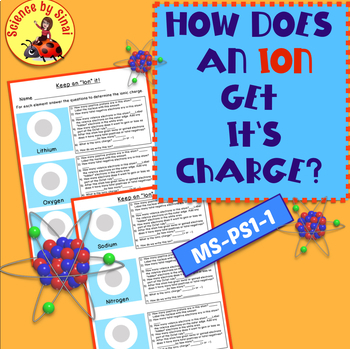 Are your students struggling to understand ionic charges? Are they having trouble understanding valence electrons and their relationship to cations and anions? 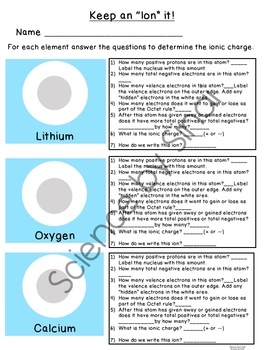 It happened to my students so I created this worksheet to reinforce the basics before moving on to the actual ionic bonding. This requires them to look at the periodic table and to understand what makes an ion positive or negative, and not just based on its location on the table. 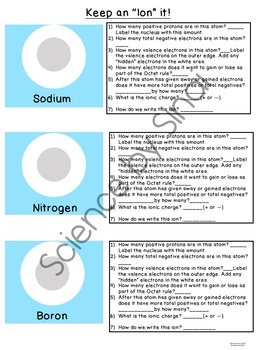 Included are six different elements with the same questions to be answered for each along with an image of an atom. They need to fill in how many positive and negative charges are present and how many valence electrons does it want to give away or bring in to complete the Octet rule. These are 8 1/2 and 11” PowerPoint slides that can be sent to their devices or printed out for their notebooks. Answer sheets are included.